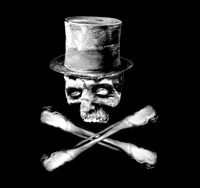 Dapper Cadaver specializes in death related, medical, laboratory, horror, gore, oddities, Halloween, and funeral props. Our collection includes prop corpses, headstones, body parts, scientific equipment, mortuary furnishings, caskets, gothic decor and clothing, specimen jars, skulls, skeletons, bones, hospital props, morgue props, a working vintage hearse, and much more. We also do custom fabrication, including any kind of cadaver, wound or gore you could possibly need, as well as custom engraved headstones, retractable syringes, and a stage blood that actually turns brown as it dries, just like real blood. Our artists are experts in the field of human decomposition, funeral, and medical practices, and can offer expert advice on setting the most realistic possible scene. We have worked for such productions and franchises as Saw, The Devils Rejects, The History Channel, Pirates of the Caribbean, Nip/Tuck, Law and Order, the Living Dead series, and the Sci Fi Channel. Bulk discounts are available for all items. we also rent to private parties. We accept credit card payments and ship all over the world. Owner and Lead Prop Artist. 2004 - 2005 Post Mortem Studio Rentals Los Angeles, Ca Lead Prop Artist, Studio Manager. Designing, constructing, and repairing carnival game attractions. "Nip/Tuck"	Stu Segal Productions	Medical equipment, blood fx, body parts, cadavers, skeletons. "Veronica Mars"	Stu Segal Productions	Medical equipment, blood fx, body parts, cadavers, skeletons. "Wayans Bros. Untitled"	Wayans Bros.